Zach Bloom, left, scores Swanton’s first run at Delta Thursday in ACME play. The Bulldogs dropped the contest by a final of 9-7. Swanton starting pitcher Bryce McComb delivers against Delta. It was his first appearance as a pitcher for the Bulldogs this year as he did not make any starts in the spring. The Delta Panthers scored five times in the bottom of the first and added three more to take a commanding 8-2 lead after three, then watched the Swanton Bulldogs scramble back to pull within one before finally falling 9-7 in ACME league action on Thursday at Delta. After Delta starting pitcher, Austin Sayen, set the Bulldogs down in order in the top of the first the Panthers wasted no time in jumping on Swanton starter Bryce McComb with three straight singles from Owen Jagodzinski, Tim Sonick and Sayen to open the bottom of the inning, the last one driving in the first run. A fielder’s choice by Aaron Abbott plated the second run and a ground out to second by Blake Gladieux brought home run number three and the Panthers were rolling against McComb who did not start on the mound for Swanton during the spring season. Delta went on to add two more before the inning was over and had a 5-0 lead after one. After a scoreless second, Swanton managed to get on the board in the third when Sayen began to experience some wildness after surrendering a leadoff single to Zach Bloom. Sayen walked Duayne Goings, then hit Johnny Shanks and wild pitched two runs in as the Bulldogs pulled within three at 5-2. The Panthers answered Swanton’s two runs with three of their own in the bottom of the inning. Singles by Abbott and Gabe Freeman and a walk to Gladieux loaded the bases with nobody out. Two groundouts and a single by Caleb Toadvine brought all three runners home and gave Delta an 8-2 advantage after just three innings. Down by six runs, the Bulldogs mounted a comeback, scoring two runs in the top of the fourth on the strength of singles by Justin Timpe and Hunter Schad and two sacrifice flies to cut the deficit to four. And, in the top of the fifth, they pulled within a run while using four consecutive bunts and some very heady base running to trail 8-7. 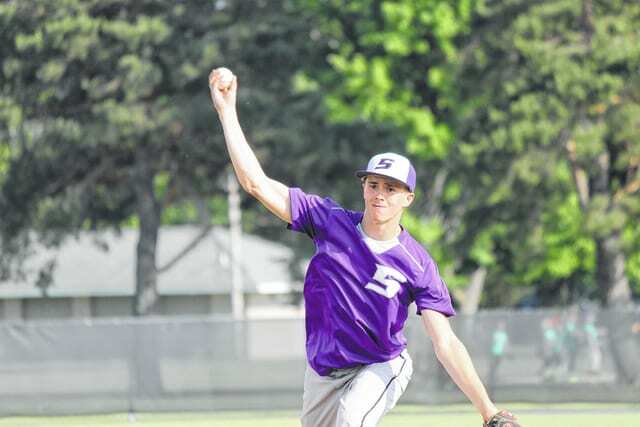 In the bottom of the sixth the Panthers were able to scratch across an insurance run off Jordon Nyler, Swanton’s third pitcher of the day, and got solid relief pitching from Justin Anderson and Jagodzinski to hold off the Bulldogs for the 9-7 victory. Sayen picked up the win for the Panthers and Jagodzinski was credited with the save. The Delta offense was a true team effort, getting eight hits by eight different players. McComb took the loss for the Bulldogs while Justin Timpe had a single and a walk and Josh Adcock scored two runs.